Used Toyota Prius Review - 2016-present | What Car? 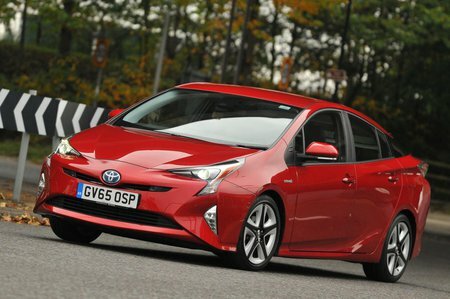 What's the used Toyota Prius hatchback like? Few cars achieve iconic status but the Toyota Prius is definitely one of them. Most, it has to be admitted, achieve such status by being beautiful to look at or wonderful to drive or evocative of a period of time, but the Prius has won its honours by being the transport of choice for the environmentally minded. To some degree, it deserves its status; it was, after all, the first mass-produced petrol-electric hybrid car. Now in its fourth generation, the styling is sleek and modern, if not beautiful. It is lower, longer and wider than the Prius it replaced, but of more importance than the styling is the upgraded platform that offers a stronger, stiffer body and a better drive, as well as an updated hybrid drive system that contributes to outstanding claimed fuel economy figures. Underneath is a 120bhp 1.8-litre engine linked to an electric motor. With it, you can in theory drive at up to 36mph on electric power only for short distances. Thereafter, it shuffles its power source between the engine, the electric motor or both. There’s also the option of a plug-in version, which ups fuel economy spectacularly. This can be plugged in for further electric boost and has the ability to run on pure electric-only power for up to 39 miles. The Prius doesn’t skimp on equipment either, with four trims to choose from: Active, Business Edition, Business Edition Plus and Excel. 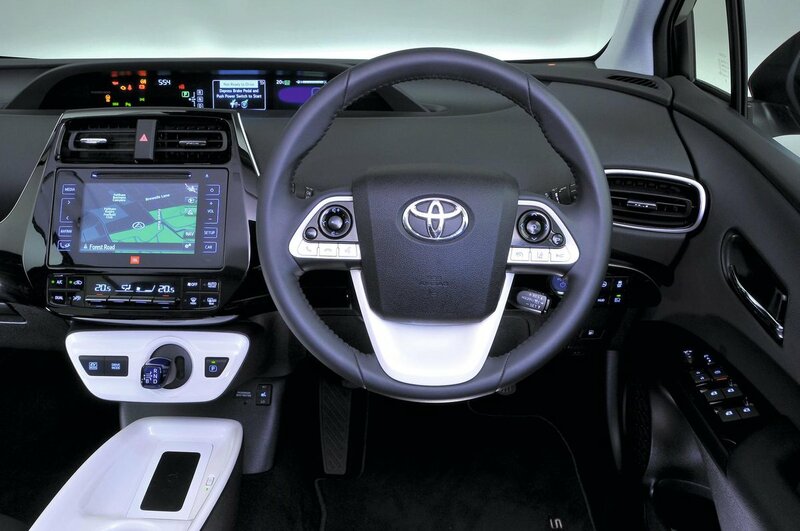 Entry-level models get 15in alloy wheels, LED headlights, adaptive cruise control, lane departure warning, road sign recognition and heated and folding door mirrors as standard, while inside there is Toyota's Touch 2 infotainment system with a reversing camera. Upgrade to the fleet-friendly Business Edition and the Prius gains heated front seats, a wireless phone charging cradle and blindspot monitoring, while Business Edition Plus adds 17in alloy wheels, parking sensors and a self-parking assistance. Top-of-the-range Excel adorns the car with luxuries such as automatic wipers, a JBL premium sound system, sat-nav, wi-fi connectivity and front foglights. On the road, this Prius is a vast improvement on the previous generations. Its performance times aren’t exciting, but it is at least on a par with most of its conventional rivals. The only fly in the ointment is that the automatic CVT gearbox causes the engine revs to rise, and holds them high, when you ask for a lot of acceleration. For most of the time, such as around town or when cruising on the motorway, the Prius is more than adequately refined. The steering is accurate and responsive, and although there’s quite a bit of body roll in faster corners, there’s plenty of grip. Make no mistake, it’s not a sports car, and the plug-in version is even slower than the regular Prius, but it’s also not an unpleasant thing to drive. The ride is reasonably relaxed, too, turning firmer over larger bumps and road imperfections but still compliant enough to make long journeys comfortable for occupants. Inside is an unconventional dashboard layout, with the main instrument pod sitting in the middle of and high up on the centre console. There are two 4.2in colour screens providing the information, and all but entry-level Access trim get a head-up display. Below this is the standard 7.0in infotainment touchscreen, which is mostly responsive, even if its graphics aren’t as sharp as that in some rivals. The driving position is good, although it could do with more adjustment in the steering wheel, while rear visibility is a little compromised by the rear pillars. Overall build quality feels good, although there are plenty of harder plastics in evidence. There’s lots of space, too, both front and rear. The hatchback opens to reveal a long, flat load area, and the rear seats drop in a 60/40 split, although there is a small step left when you do this.